Donald Trump has held a monopoly on the media since announcing his presidential campaign with an onslaught of gross lies targeting minority communities. Coverage of Trump has spiraled out of control, but the media has been the enabler in normalizing Trump’s campaign of hate by putting aside its core duty of holding public figures accountable for their actions. Last November, in one of the biggest examples of free media attention given to a presidential candidate, Saturday Night Live invited Trump to host despite loud opposition from protesters, including LULAC. SNL is known for having politicians appear on the show during election season; however, having a presidential candidate serving as host during election season is a rarity. It was an insult to the more than 50 million Latinos in this country that such an iconic program would sell out for the sake of a few cheap laughs, considering NBCUniversal previously announced they would break business ties with Trump right after he labeled Mexicans as rapists, criminals, and drug dealers. Whether the coverage is satirical or serious, the media -- television, radio, newspapers and magazines, and online -- has been more than happy to play along with Trump’s joke by constantly expanding coverage of him. Soundbites of him scapegoating Latinos and other minorities are on constant rotation, followed by more soundbites of him insulting the disabled, women, and veterans. More Trump equals more ads sold, higher ratings, and more story clicks. But by promoting wall-to-wall Trump coverage, the media has profited greatly at the expense of minorities and other underrepresented groups. But for many of the groups targeted by Trump, this is not fun. This is dangerous. In addition to scapegoating minority groups, Trump actively encourages his supporters to use violence against protesters. The result is widespread violence at Trump rallies. Protesters are getting sucker punched, a teenager was pepper-sprayed, and an African American woman was shoved back and forth by a group of individuals. 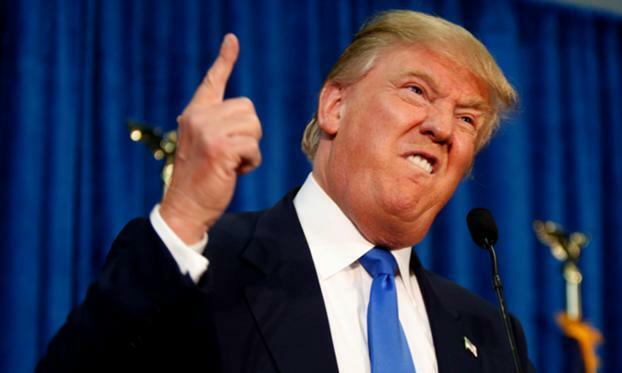 Instances of verbal abuse by supporters is another example of hate at his rallies, with one instance of a man yelling at black protesters, “Go back to Africa”. A Trump rally in March scheduled to take place at the University of Illinois at Chicago, a school with nearly 25 percent Latino students, was called off after students of the university began a petition to cancel the event. Students cited safety concerns because of Trump’s statements and outbreaks of violence at Trump rallies that were often directed at protesters. Despite outbreaks of violence incited by Trump and his supporters, Trump continues to not only dominate the media, but also dictate the terms. When Fox News turned down Trump’s request to change moderators for the last GOP debate before the Iowa caucuses in February, Trump decided to skip the debate. The message was clear that Trump would only allow access if he was able to control the narrative. It wasn’t until last month that NBC’s Sunday morning news program Meet the Press finally stopped allowing Trump to call in by phone, a practice used by him throughout his campaign to dodge questions and maintain control over the conversation. Sunday morning programs have conducted at least 28 phone interviews with him, a privilege not given to other candidates. But why didn’t this happen earlier? Why has it taken this long for the media to hold him accountable? Even as Trump has endured more recent criticism from the press (he has come under severe scrutiny for saying women deserve to be punished if they choose to have an abortion), it is still not enough to deter him. Any coverage of him must address his unrealistic policies and the effects of his dangerous rhetoric, instead of the current sensational coverage that merely legitimizes his opinions for large segments of the American public Trump was created by the media, and now it’s their responsibility to pull the plug and dump Trump. Last week brought a whirlwind of news on the topic of Puerto Rico. If you’ve been out of the loop, here are the basics. Puerto Rico is in major economic crisis. According to the House Natural Resources Committee, the committee that has jurisdiction over Puerto Rico matters in the U.S. House, Puerto Rico owes more than 70 billion dollars in debt in the form of bonds. In addition, it has a pension liability of 46 billion dollars (covered by only two billion dollars in net assets), unemployment is at 12 percent, and Puerto Ricans are fleeing the island in droves. Bottom line, the island cannot make its debt payments and keep essential services funded. 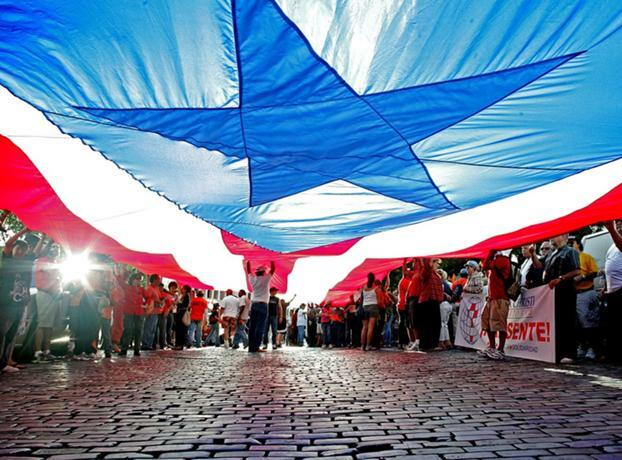 Lawmakers on the Hill, under pressure from advocates, bond holders, and consumer groups, have been working on legislation that would provide Puerto Rico with additional options to address its current financial situation. However, the first draft of the legislation — leaked on the internet— got very mixed reviews. Bond holders balked at the idea of court facilitated debt restructuring, civil rights advocates and Puerto Rican politicians decried the oversight board that they say takes away Puerto Rico’s autonomy. The legislation did not seem to meet anyone’s expectations (a good summary of what’s in the legislation can be found here). With the clock ticking on Puerto Rico’s pending debt payment on May 1st, and Congressional legislation at a standstill, the Puerto Rican government took matters into its own hands and decided to halt all debt payments and instead, use available funds to prioritize keeping essential public services running. This set off a scramble by hedge funds holding Puerto Rican debt, who immediately filed lawsuits to freeze the assets of Puerto Rico and prevent the Puerto Rico Development Bank from making payments to local government agencies that need funds to keep services running. The House Natural Resources Committee is expected to release an “updated” version of its Puerto Rico bill as early as today. Meanwhile Puerto Ricans, who are sticking it out on the island, are left in limbo. At the end, it is unclear if the newest attempt to rewrite the Puerto Rico legislation will be enough to pass it through a skeptical House and Senate before the clock strikes midnight on May 1st when a 422 million dollar debt payment comes due.